Creates a healthy-looking sun-kissed glow to-go. Now, fair and medium skin tones can get a golden glow to-go with 06 Bronze—the SOS Primer that creates the luminous look of sun-bronzed skin. Clarins’ exclusive High Lumitech Complex visibly neutralizes, illuminates and blurs imperfections. Use before make-up application or for a targeted glow on top of your foundation! A color for every concern. SOS Primers work on the same principle as a color wheel—where opposite shades cancel each other out. Turn the wheel to find the shades for your beauty concerns. Rated 5 out of 5 by SusieQ from Works Beautifully I received the SOS Universal Light as a sample and I gave it a try. I am in love! It gives my skin a beautiful healthy glow. I ran into a friend I hadn't seen in years and he commented that I looked so happy and that my skin was actually glowing! Amazing! Rated 5 out of 5 by Jgriff from Great results I was surprised at how this product help hide my brown spots. This will be a new staple in my morning routine. Rated 5 out of 5 by runabout22 from Exceptionally lovely results I've had this for a week; I bought the rose for fatigued skin; the ingredients make the complexion feel refreshed in a non-menthol formula- it imparts a lovely softly brighter, softly blurred finish camouflaging fine lines and moderate brown spots. The moisturizing and restful effects last 6-7 hours. Rated 1 out of 5 by LynnieW from Not sure Didn’t see a change or notice covering with the coral, as noted in description. Sometimes products don’t work, I suppose. Still love Clairins! Rated 1 out of 5 by Youth from No Positive Results for Me I bought three of the SOS primers & have seen no results at all. They sit on the shelf, now. 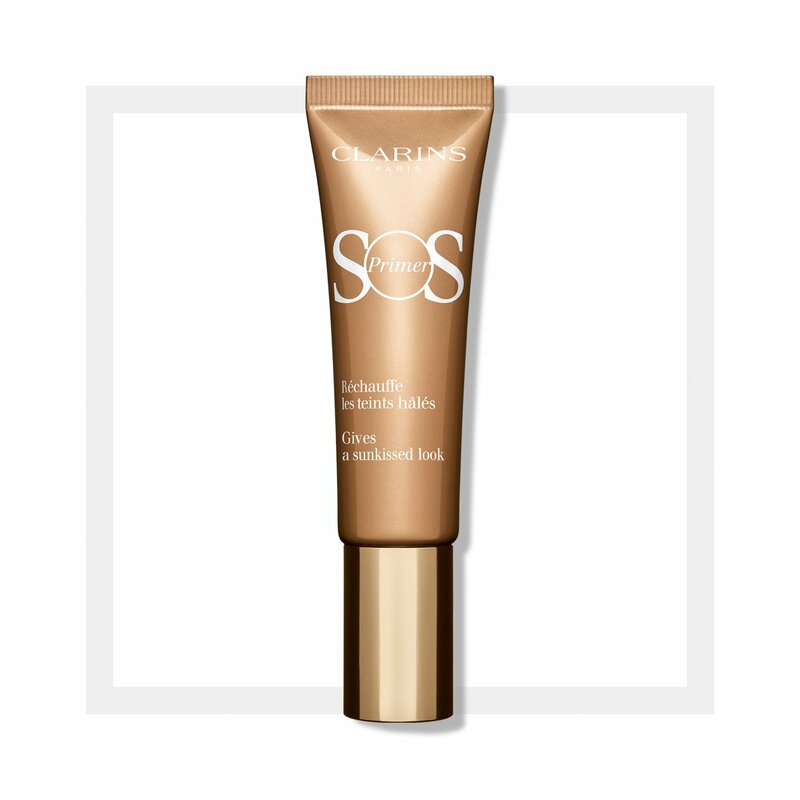 I would b willing to try the bronze SOS primer, but it is sold out, because of summer; I think it would work. I have used Clarins products for about 30 years & this is the first time I saw no results in new products, specifically, the SOS products. Radiance-No, Prep for coverage prep-No It gave me no make-up prep, whatsoever, SOS for redness--No. 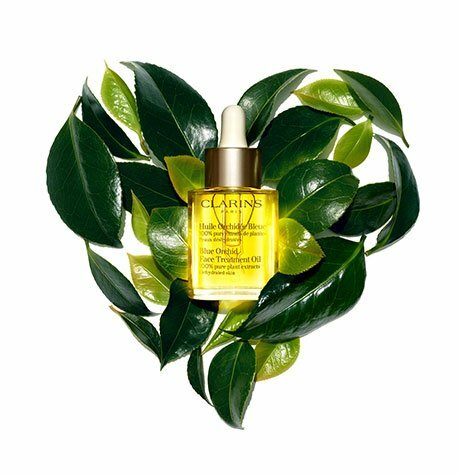 My skin is mature, but that is not why these products did not work--Everything else always works for me that Clarins sells,. Rated 1 out of 5 by MBurton from SOS primer I tried the green primer for some redness. I didn't like the texture initially - it felt very dry. Should've gone with my gut feeling on that. I used it for about 4 or 5 days and it totally dried my skin out. It felt like it had sucked the moisture out of my skin. Rated 5 out of 5 by Giuditta17stillme from Skin tone became clearer! I was very skeptical in trying this... but I had a stubborn dark spot on my face at the time and I was desperate when Clarins pushed this product on their website a few months ago. WOW, SOS! Congratulations on not disappointing me! That stubborn dark spot finally lightened up and I can tell the major difference when I take pictures.... and Clarins? Bravo with the SCENT!!! Based on my needs, I purchased the coral when this line first came out. I have to admit, I am highly addicted to this! The smell is amazing! I don't know about the other ones - but the coral: Please do not touch - do not change the formula - leave as is! This is amazing! This Clarins poster girl highly recommends! I cannot believe it faded this stubborn dark spot of mine. Rated 4 out of 5 by age62 from Hydrates--well under makeup I've used this about a week now & it does not cover all imperfections, but you do get a great deal of hydration.